The Animal Cruelty Task Force of the Humane Society of Missouri says they'll be recommending animal abuse charges for a Galina, Missouri animal owner. On October 16, 2012, they worked in cooperation with the Stone County (MO) Sheriff's Office to rescue 10 horse, 15 dogs, 5 cats, a chicken and a duck from a property west of Galena, Missouri in Stone County. Humane Society Animal Cruelty Investigators and Stone County Sheriff's Department detectives had been working for several months with the owner of the animals to encourage proper care for the animals. With little to no improvement made, the sheriff's office determined that a warrant should be obtained to inspect the property with the possibility of removing animals at risk. At least seven of the horses are severely underweight and have had little access to food, fresh water, adequate pasture or veterinary care. One horse was more than 600 pounds underweight and so weak he could barely get on and off the trailer. The cats appear thin and many of the dogs were tethered outside with little to no access to adequate food or clean water. Two recently deceased horses and a recently deceased dog also were found on the property. The live animals were removed at the recommendation of a veterinarian for the Missouri Department of Agriculture. Life for Sid, a 4-year-old West Highland Terrier mix, has been anything but easy. Our Animal Cruelty Task Force found him living in filth -- the floors covered with trash, animal waste and grime. Fleas crawled all over him, and so much of his hair was missing that it was difficult to determine his breed. We watched as he paced around the room, scratching his poor body against walls, couches, recliners; whatever was available that might provide a little relief. Sid was in terrible shape. Neglected. Underfed. Without proper veterinary care. And he wasn't alone. Walking through the rest of the house, we discovered a Bassett Hound whose nails were so long they had grown into his paw. And it was Sid who alerted us to a third dog, and the biggest heartbreak of the rescue. There in the bathroom lay a Beagle. Sid stood beside his friend and desperately tried to nudge him awake. But it was too late. The Beagle had died from heinous abuse and neglect. It was a heart-wrenching sight, and one we won't soon forget. Today the rescued dogs are receiving care at the Humane Society of Missouri. Sid is suffering from sarcoptic mange, fleas, a double ear infection and he has a heart murmur. Our expert veterinary and shelter staff are doing everything they can, but his recovery will require weeks upon months of care. The rescued horses, duck and chicken were transported o the Humane Society of Missouri's Longmeadow Rescue Ranch in Union, MO. The rescued dogs and cats were taken to the Humane Society of Missouri Headquarters in St Louis, MO. 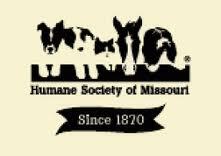 A disposition hearing to determine custody of the animals is scheduled for later this month in Galena, MO. If custody is awarded to the Humane Society of Missouri, as many of the animals as possible will be made available for adoption. This was just so horrible and sad. I can't believe how bad things were for those poor animals. To think that that bassets nails had actually grown into his paws and how sad that Sid led them to that poor Beagle. It makes you wonder how these animals ever recover emotionally. I totally agree. I know that I, personally, have a lot to learn from dogs...about forgiveness.